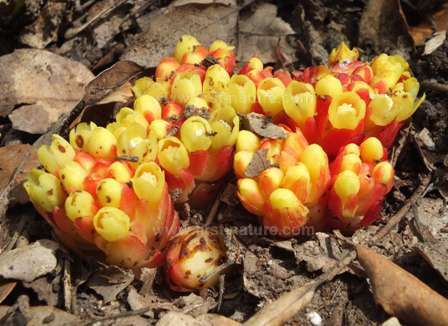 Cytinus is a strange plant which parasitises Cistus (Rockrose) shrubs in the Mediterranean region. 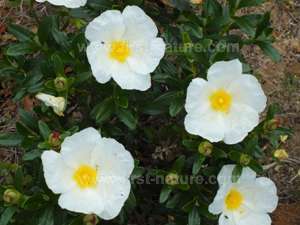 It is very common throughout the Algarve, and wherever you see Cistus plants it's worth having a look at the base of the plants to see if one or other of the two most common species of Cytinus is lurking there. 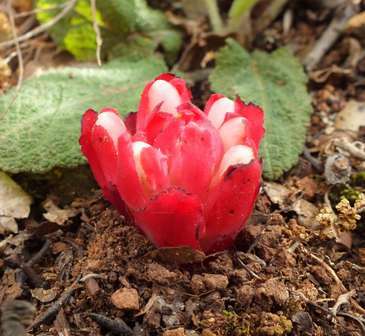 Cytinus appears above the ground from early April onwards. The flowers of the plants are densely packed and contain numerous tiny seeds which develop inside a sticky pulp. When they dry out the seeds are distributed by the wind. Cytinus species are members of the Cytinaceae family, and recent research shows that they are related to Mallows (Malvaceae) which are also very common in the Algarve. Cytinus hypocistis is found with Cistus palhinhae which is an endemic plant of Cape St. Vincent where both species can be found growing in the sandy coastal strip. It also parisitises Halimium halimifolium which is a dense yellow-flowered rockrose shrub which also favours sandy coastal slopes and dune systems. Cytinus ruber is very similar in appearance to Cytinus hypocistis but is red and white and far less common. 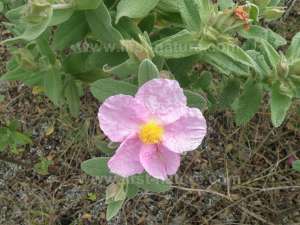 It parasitises pink-flowered species of Cistus, in particular Cistus albidus. Both plants are extremely common throughout the Algarve and are tolerant of many habitats.